Your home's chimney may serve a few purposes. 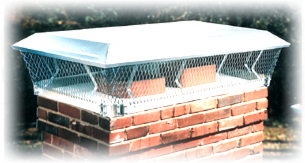 Weinel roofing has several chimney services for you to choose from. We offer chimney repair/removal, water sealing, flashing repair, chimney reconstruction, and chimney caps. If your chimney needs some touch ups or what's known as "Tuck Pointing," Weinel Roofing will fill in any gaps in the mortar around the bricks, and replace the bricks themselves if needed. However, if your chimney has deteriorated beyond repair or has been damaged, removal may be necessary. Weinel Roofing is able to remove and roof over your chimney, should it be useless and could cause damage should it fall apart. You'll never know it was there!